REGION — Ridership on San Diego’s Metropolitan Transit System is up by more than 200,000 trips since fiscal year 2019 began last July 1, the agency announced today. The county’s trolley network has driven the increase in ridership with six consecutive months of ridership gains compared to fiscal year 2018. In total, trolley ridership is up roughly 1 percent from 21,810,915 in the first seven months of fiscal year 2018 to 22,037,351 trips to date in the current fiscal year. Bus ridership was essentially stagnant, falling from 27,964,591 in the first seven months of FY2018 to 27,941,344 in the first seven months of the current fiscal year, a drop of less than one-tenth of 1 percent. MTS officials believe bus ridership could increase in the near future, however, due to added Rapid bus routes with continuously expanding ridership. 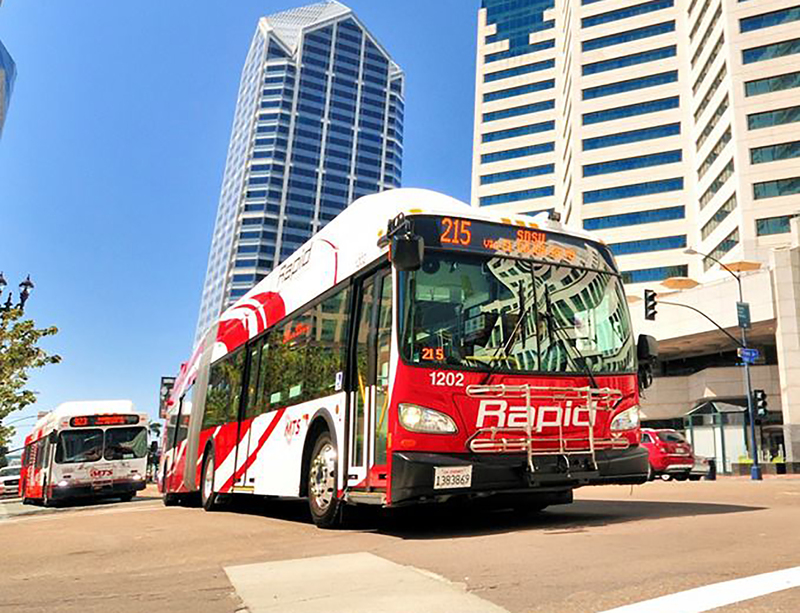 MTS’ new South Bay Rapid route and its Rapid Superloop routes servicing UC San Diego have both seen ridership increases during weekdays, with the latter adding more than 3,000 bus trips each day. The addition of the agency’s new Otay Mesa Transit Center has also spurred ridership increases on existing routes that stop at the facility. MTS will add the new ridership data to its monthly records this month.